PETALING JAYA: The Royal Malaysian Air Force (RMAF) Sukhoi Su-30MKM simulator system is expected to be operational by May. 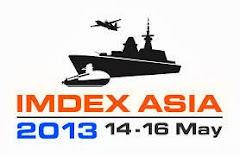 The system was supposed to be commissioned this month but defence industry sources told The Malay Mail it was not ready. Last December, HeiTech Padu Bhd president Safiee Mohammad had said the simulator, which includes two high-fidelity Tactical Operational Flight Trainers (TOFT) and computer-based trainer (CBT), would be operational by this month. Attempts to contact Safiee to clarify the delay were unsuccessful. HeiTech developed the simulator with input from the Sukhoi Design Bureau, the designer of the 30MKM and Irkut planes. 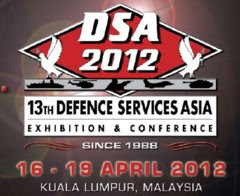 Defence industry sources said Russian engineers would arrive next month to install the system to be housed at a specially designed complex at the Gong Kedak air base where the Sukhoi squadron is based. “If the trials go well, the simulator is expected to be commissioned by May,” a source said. The TOFT was developed for full mission training using the Distributed Mission Training concept. This will allow the training mission to be done using more than one simulated aircraft simultaneously. The RMAF has taken delivery of 18 Sukhoi Su-30MKM aircraft that were procured in 1999 for RM3.4 billion. On Dec 14 , 2006, HeiTech announced it had signed an agreement with the Malaysian government to design and build the flight simulator for the Sukhoi SU-30MKM for RMAF. The value of the 13-year contract is RM258 million. SELEX Galileo’s sonic system OTS-90 successfully showcased in Sydney on board the NH-90 (NFH) SELEX Galileo’s sonic system OTS-90 was demonstrated successfully during recent flight trials performed in Australia. In a demo flight during the PAC2010 Exhibition, the helicopter NH90 (NHF) deployed the sonic sensor for a dip just in front of the Sidney Opera House. SELEX Galileo’s OTS-90 is an integrated system combining dipping sonar and sonobuoys. The system will equip the MFH ASW (Anti Submarine Warfare) fleet of the Italian Navy (Marina Militare) (46 Systems) and the Dutch Navy (14 Systems). The OTS System was developed to meet the requirements of the 4 partner Nations of the NH-90 programme: Germany, France, Netherlands and Italy. SELEX Galileo is the prime contractor and design authority for the integrated system and for sonobuoys, while the dipping sonar derives from L-3OS HELRAS (USA), the only true low frequency sonar currently available, capable of detecting and classifying targets at extremely long range, both in blue waters and brown waters. The system can also operate in multistatic modes. The OTS-90 is currently in production for a first batch of 20 systems. Moreover, SELEX Galileo was recently assigned a contract by NHI for the production of a second batch of 20 systems. MENOMINEE, MI. 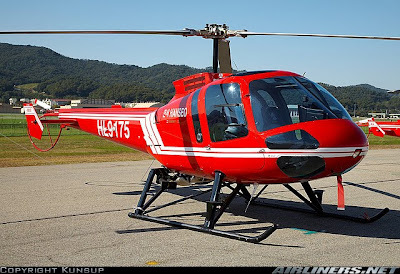 --- Enstrom Helicopter Corporation would like to announce that they will be providing 16 480B advanced turbine training helicopters for the Royal Thai Army. The 480B was selected in a competitive bidding process that included aircraft from 7 different major manufacturers. In October Enstrom hosted a delegation of officials from the Royal Thai Army led by Major General Pittaya Krachangwong, who came to Menominee to inspect Enstrom’s manufacturing facilities and fly the different models of Enstrom helicopters. Enstrom is represented in Asia by Blake & DeJong Ltd., and in Thailand by M-Landarch Inc.
Kockums AB, part of ThyssenKrupp Marine Systems, has signed a contract with FMV (the Swedish Defence Materiel Administration), concerning overall of the design phase of the next-generation submarine. This confirms the intention to develop Sweden’s submarine capability. Kockums is prime contractor for the order. The Supreme Commander of the Swedish Armed Forces has emphasized the importance of acquiring the next-generation submarine on a number of different occasions. 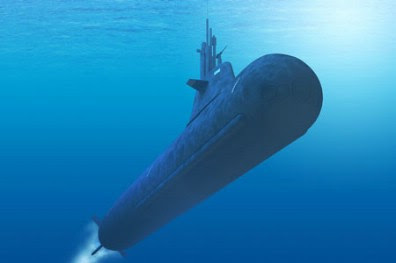 The next-generation submarine features several advances in the development of underwater technology and marks the adaptation of submarines to meet current and future threats and to conduct the international mission now required. This refers particularly to the submarine’s role as an information gatherer. Next-generation also refers to further refinements in terms of stealth technology. The submarine will be able to see and hear everything over a wide area, while itself remaining undetected. It will be designed to be efficient in the Baltic and other littoral waters. “This is an important first step, not only for Kockums, but for the Swedish Armed Forces as a whole. We shall now be able to maintain our position at the cutting edge of submarine technology, which is vital in the light of current threat scenarios. HMS Gotland demonstrated what she is capable of during two years of joint exercises in the water off the USA. This next-generation submarine marks a further refinement of technology,” states CEO Ola Alfredsson, commenting the news. Australia has approved an A$45 million ($40 million) upgrade to its air force's fleet of 12 Lockheed Martin C-130J military transports. "The Block 7.0 Upgrade will enable Australia's fleet of C-130J to meet new global air traffic management requirements and continue to operate in global airspace," says defence minister John Faulkner. "These will address system obsolescence, maintain coalition compatibility and enable these aircraft to comply with global air traffic standards." The work will be part of the C-130J Joint User Group Global Project Arrangement, a multi-national programme that enables several operators to upgrade them together. This includes the USA, the UK, Canada and Italy. The Royal Australian Air Force uses its C-130Js on missions such as air logistics support, aero-medical evacuation, search and survivor assistance, troop transport and airdrop operations. Three aircraft are based in the Middle East, and the fleet is often called upon for operations on short notice in South-East Asia and the Pacific region. Australia has approved the purchase of seven Boeing CH-47F Chinook helicopters for A$755 million ($670 million). The first two helicopters will enter service in 2014 and all seven will be operational by 2017, says the Australian Government. The helicopters will replace the Australian army's six older CH-47D helicopters. "These new helicopters will give the Australian Defence Force (ADF) a robust, deployable medium-lift helicopter capability out to 2040," says Australia's defence minister John Faulkner. "While the existing fleet of 'D' model Chinooks had provided outstanding support to the ADF since entering service in 1995, the aircraft faced increasing capability and support issues." 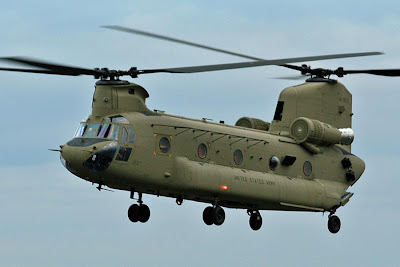 This "second pass approval" comes after Australia said during its 2009 defence white paper that it could buy the CH-47F to augment its army's medium-lift capabilities. The "F" models offer a range of improvements including a strengthened airframe to reduce fatigue, improved deployability, and digital systems, says the defence ministry. "The new Australian Chinooks will also receive some additional ADF-specific equipment to meet certain operational and safety requirements," adds Faulkner. Canberra will buy the helicopters and maintain them in the same broad configuration as the US Army Chinooks, "providing enhanced benefits to the ADF in areas including spares, support, training and airworthiness", says the ministry. "The Government will consider whether to participate in the US Chinook Product Improvement Program when information on this programme is of second pass quality. Participation in this program would align the configuration of Australian Chinooks with future US Army Chinooks," says Faulkner. KUALA LUMPUR -- Tentera Darat akan memperkukuhkan lagi ketumbukan pasukan itu dengan mewujudkan Unit Helikopter Tempur sebagai memperlengkapkan sayap pertahanannya. Panglima Tentera Darat Jeneral Tan Sri Muhammad Ismail Jamaluddin berkata Selasa, permohonan telah dibuat di peringkat tertinggi Kementerian Pertahanan tetapi keputusan pembelian helikopter tempur itu bergantung kepada peruntukan kerajaan. "Tentera Darat telah membuat permohonan untuk mendapatkan aset itu dalam Rancangan Malaysia ke-10 (RMK-10), namun tertakluk kepada kemampuan kerajaan untuk memperolehi aset berkenaan," katanya ketika sesi wawancara khas bersama media sempena ulangtahun ke-77 Tentera Darat di Kementerian Pertahanan di sini, Selasa. Beliau bagaimanapun menyatakan jenis dan jumlah pesawat tempur itu belum diputuskan kerana masih di peringkat perbincangan. Sempena ulangtahun itu yang bakal disambut pada 1 Mac ini, yang bertemakan "Tentera Darat Mendokong Aspirasi Rakyat dan Kedaulatan Negara", satu perbarisan akan diadakan di Kem Sungai Besi di sini. Tentera Darat akan mengadakan pertunjukan udara dengan menampilkan tetamu khas Leftenan Raja Muda Johor, Tunku Ismail Idris Sultan Ibrahim sebagai pembantu juruterbang pada hari itu. Muhammad Ismail berkata pihaknya turut berpuas hati dan menghargai liputan serta kerjasama baik media mengenai kejayaan Tentera Darat. Mengulas mengenai pemilihan semula Malaysia untuk mengetuai pasukan pemantau di Mindanao, Filipina, beliau berkata Tentera Darat akan menggalas sepenuh tanggungjawab dalam mengepalai Tim Pemantau Antarabangsa-Mindanao (TPA-M V) itu. "Tentera Darat yakin boleh melaksanakan misi itu dengan jayanya. Pasukan itu dibarisi oleh pegawai dan anggota yang berpengalaman dan terlatih," katanya. Pasukan yang akan diketuai oleh pegawai kanan ATM yang berpangkat Mejar Jeneral itu terdiri daripada 12 pegawai dan seorang anggota lain-lain pangkat dari Angkatan Tentera Malaysia (ATM), tiga pegawai Polis Diraja Malaysia dan empat pegawai perkhidmatan awam. Auckland - The 13-year-old navy frigate HMNZS Te Kaha is back in action after a major refit which saw it get two new diesel engines. The ship has been out of action since July last year as part of a planned maintenance and mid-life engine upgrade. It was put back in commission earlier this month but would leave for its next deployment to South East Asia in April without its Phalanx weapons system -- a last line of defence against missiles. The 20mm rapid-fire machine gun was sent to America for an upgrade which would give the ship protection against fast inshore attack boats and helicopters and was not due back in time to be fitted before Te Kaha left for South East Asia. 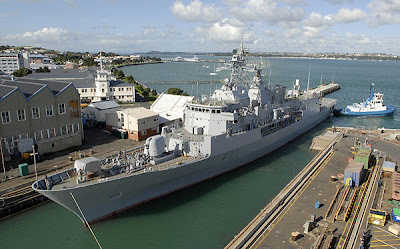 The Phalanx upgrade for Te Kaha and its sister ship, HMNZS Te Mana was expected to cost up to $25 million. Lieutenant Commander Chris Fleck, the officer in charge of the engine upgrade, said Te Kaha would be on a diplomatic and training mission in South East Asia and was not on operational duties. Te Mana was due to begin its engine refit next month and would be out of action until October. The new engines were part of a package which would cost about $57m for both ships. It also included internal enhancements so the ship could better cope with additional weight from new gear added over the years, an upgrade of the control and monitoring systems and an upgrade of the heating, ventilation and air conditioning systems. The control and monitoring systems upgrade, and the heating, ventilation and air conditioning upgrades were likely to start next year or the year after. Lt Cdr Fleck said the new engines would be more economic but would not allow the ships to go faster than their top speed of 27 knots. The old engines could push each ship to 18 knots before a gas turbine kicked in for high-speed running. Lt Cdr Fleck said the new engines would go to 21.5 knots before gas turbines took over, making the ships more economic to operate. The new engines were also "environmentally compliant", he said. Te Kaha was expected to be in commission at least until 2025 and Te Mana would last until 2028. 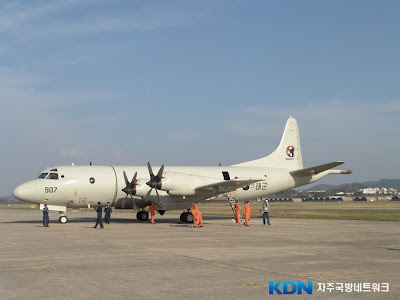 The Navy will acquire the first three of the eight planned P-3CK maritime patrol aircraft from Korea Aerospace Industries (KAI) after a delay of nearly one and a half years due to systems integration and redesign problems. The last hurdle for their delivery was cleared earlier this month as the U.S. government approved export restrictions on key electronic warfare equipment for the P-3CK, according to KAI and Defense Acquisition Program Administration (DAPA) officials. The P-3CK is one of the new variants of the U.S. P-3 Orion maritime aircraft developed in the 1960s. KAI, South Korea's only aircraft developer, has been in charge of remodeling the older aircraft since 2005. L-3 Communications Integrated Systems of the United States is a subcontractor that provides system modernization and a service life extension program. The ceremony to mark the delivery of the three planes will be held at a navy unit in Pohang, about 400 kilometers southeast of Seoul. According to the KAI, the remaining planes will be handed over to the Navy by the end of June. The Navy expects the new fleet of P-3CK aircraft to boost its maritime surveillance and strike capability against North Korean targets to a great extent. "The P-3CK is capable of conducting various operations on anti-submarine/anti-ship missions, as well as on early warning and information gathering," a Navy official said. Key upgrades for the P-3CK include a multi-purpose radar capable of detecting fixed and moving targets on the ground, high-definition electro-optical/infrared cameras, digital acoustic analysis equipment and a magnetic anomaly detector, he said. The aircraft is also armed with Harpoon Block II air-to-ground missiles and a real-time tactical information transmission system interoperable with the KF-16 fighter jet, said the official. "North Korean coastal artillery and missile launchers could be neutralized by the Harpoon missiles fired from P-3CKs," the official added. 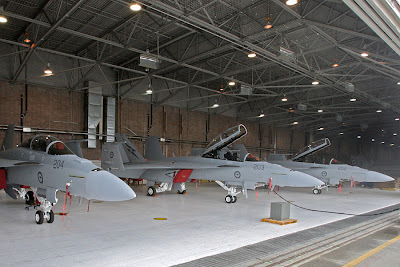 The first three of an eventual 24 F/A-18F Super Hornets destined for service with the Royal Australian Air Force were handed over to the Australian Defence Materiel Organisation by the US Defence Materiel Organisation at Naval Air Station Lemoore in California, USA. The three Super Hornets, A44-202, 203 and 204, were checked over by personnel from 1 Squadron based at RAAF Amberley in Queensland. Raytheon Australia has been awarded a Training Support Services Contract to support Super Hornet training at Amberley. “The signing of the contract is worth approximately $21.5 million over three years, and secures about 25 jobs at RAAF Amberley for that period,” said Greg Combet, Minister for Defence Personnel, Materiel and Science. Raytheon Australia will provide maintenance, logistics, and training services to support the Super Hornet flight simulators, visual environment maintenance trainers and electronic classrooms. The first Australian Super Hornets will arrive at Amberley in late March with the rest following through to 2011 and will replace the ageing F-111, which will be retired in December. KUANTAN, (Bernama) -- The Royal Malaysian Air Force's (RMAF) MiG-29N aircraft will fly for at least another five years, Defence Minister Datuk Seri Ahmad Zahid Hamidi said. He said the government had decided to continue operating the Russian-made aircraft although there was a proposal to retire and sell them to third world countries. "The decision was based on the capability of the aircraft (MIG-29N) in executing the tasks given," he told reporters after visiting the RMAF base here on Tuesday. Zahid said factors considered include the country's economy which had yet to fully recover from the economic slowdown. 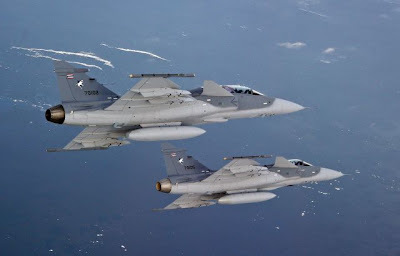 "We plan to buy more multi-role combat aircraft (MRCA) but the economic situation is preventing it," he said.The government also considered a suggestion by former prime minister Tun Dr Mahathir Mohamad who in his blog said the MIG-29N aircraft should be in service. Zahid said Aerospace Technique System Corporation Sdn Bhd (ATSC) would be asked to refurbish the aircraft by upgrading the equipments at lower costs. The government had expected to save RM260 million annually with the retirement of the MIGs on Dec 31. Meanwhile, RMAF chief Gen Datuk Seri Rodzali Daud said only ten MIG aircraft would be taking to the skies as six others had been decommissioned. Russia activated its first S-400 (also known as the SA-20, Growler or Triumf) anti-aircraft missile system around Moscow. This new version of the S-300 pays particular attention to electronic countermeasures that the Americans might have, or be developing. Two years ago, Russia announced that the first S-400 had entered service around Moscow. But that didn't actually happen, and development work continued. Recent test firings of the missiles were successful, and a battalion is now deployed around Moscow. Each S-400 battalion has eight launchers, each with four missiles, plus a control center and radar. The two year delay allowed more system components to be built, so two more battalions will be in place around Moscow by the end of the year. The S-400 is similar to the U.S. Patriot, and is expensive. Russia is unsure if they want to export S-400 right away, because of the advanced technology. Meanwhile, work is underway on the S-500, which is scheduled for deployment within five years. 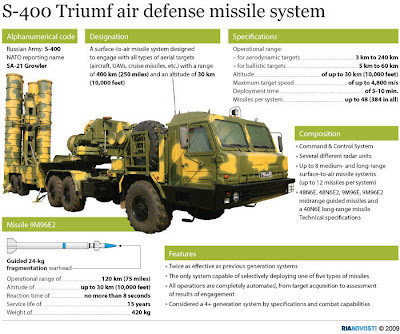 The S-400 missiles weigh 1.8 tons each and are 26 feet long and about 20 inches in diameter. The missiles have a range of some 400 kilometers, and can hit targets as high as 100,000 feet. The missile has a 320 pound warhead. The target acquisition radar has a range of 700 kilometers. The S-400 has over five times the range of the U.S. Patriot, weighs twice as much and claims the ability to detect stealthy aircraft. The S-400 also has an anti-missile capability, which is limited to shorter range (3,500 kilometers) ballistic missiles. That would mean a warhead coming in at about 5,000 meters a second (the longer the range of a ballistic missile, the higher its re-entry speed). The S-400 system actually has two missiles, one of them being a smaller, shorter range (120 kilometers) one. The S-400 has no combat experience, but U.S. intelligence believes that the tests these systems have undergone indicate it is a capable air defense weapon. Just how capable won't be known until it actually gets used in combat. Russia plans to buy up to 200 launchers (each with four missiles) by 2015, and phase out the older S-300 and S-200 systems. This would mean deploying at least 18 battalions in the next six years, and perhaps more than twenty. The S-400 is sometimes described as an improved version of the S-300. Basically, it is. This is how Russia prefers to develop weapons, making incremental improvements on a basic design, and doing so for decades if the system continues to be successful. The Philippine air force is looking to follow a decision on eight utility helicopters by also acquiring one Lockheed Martin C-130H and three smaller transport aircraft. The service has decided to buy eight W-3 Sokol combat utility helicopters from Polish manufacturer PZL Swidnik, it says, adding that the budget is 3 billion pesos ($65 million). Deliveries will start later this year. "The contract is signed and the government is funding it from the 5 billion pesos that the Philippine president, Gloria Arroyo, released a few years ago for the service's modernisation programme," the air force says. 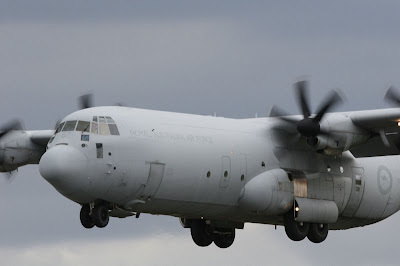 It also says it is "going to acquire a refurbished C-130H" and three smaller transport aircraft that can each seat between nine and 12 passengers. These are required to meet troop transport requirements, especially to Mindanao, it says, referring to a major city in the southern Philippines, which is a hotbed of activity by Muslim insurgents. 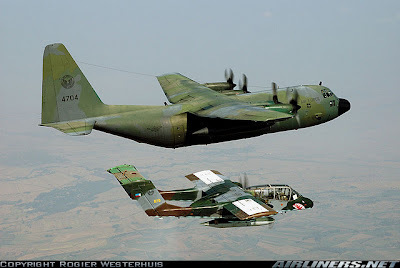 The air force uses a mix of older fixed-wing aircraft that includes two operational C-130Hs, plus two Fokker F27s and 12 GAF Nomads, as listed by Flightglobal's MiliCAS database. The service has yet to start the bidding process for the planned new fleet of small transports, saying: "We are still waiting for the funds to be released." The budget for the purchase is 920 million pesos, it adds. Pilatus is currently undertaking a month long demonstration tour of Australia with its PC-21 turboprop military trainer, a contender for the ADF’s Project Air 5428 Pilot Training System program. PC-21 HB-HZD arrived in Darwin on February 11 after being displayed at the Singapore Airshow. Its tour so far has seen it visit Amberley, Tamworth (home of the RAAF’s Basic Flying Training School), Williamtown and Richmond. On February 22 it arrived at Canberra where it will be demonstrated to RAAF personnel over the next three days, before it continues to Point Cook, East Sale, Edinburgh and Pearce, before departing through Darwin on March 19 or 20 to return to Switzerland. While in Australia the PC-21 is being demonstrated by Pilatus pilots Reto Aeschlimann and William ‘Muz’ Colqhoun, and is being supported by a PC-12. Aeschlimann is a former Swiss Air Force F/A-18 pilot, Colqhoun an ex RAF C-130 pilot and graduate of the Empire Test Pilots’ School. 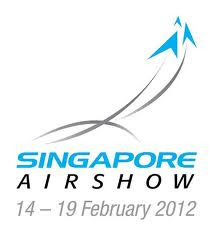 The PC-21 is in service with the Republic of Singapore Air Force at Pearce, and has recently been selected by the United Arab Emirates Air Force and Air Defence. JAKARTA--MI: Kepala Staf Angkatan Udara (Kasau) Marsekal TNI Imam Sufaat mengatakan TNI AU berencana membeli satu squadron (16 unit) pesawat tempur Super Tucano buatan Brazil sebagai pengganti pesawat tempur OV-10 yang telah dikandangkan sejak tahun 2007. Dikatakan Imam, pembelian pesawat Super Tucano ini membutuhkan anggaran US$250 juta. "Pada awalnya dianggarkan hanya US$200 juta, tapi karena informasi dari produsen harganya naik maka anggarannya tidak cukup US$13 juta per unit. Karena itu, TNI AU mengusulkan tambahan anggaran US$50 juta tahun 2010 sehingga total anggaran menjadi US$250 juta," kata Imam saat Rapat Kerja dengan Komisi I DPR bersama Menteri Pertahanan Purnomo Yusgiantoro. Rapat tersebut juga dihadiri oleh Panglima TNI Jenderal Djoko Santoso, Kepala Staf Angkatan Laut, Laksamana Agus Suhartono, Wakil Menhan, Jenderal TNI Sjafrie Sjamsuddin, dan Wakil Kasad Letjen TNI Yohanes Suryo Prabowo yang digelar di ruang Komisi I DPR Senayan Jakarta, Senin (22/2). Kasau menjelaskan, rencana pembelian pesawat Super Tucano ini telah diprogram dalam dua tahun anggaran yaitu tahun 2009 dianggarkan US$148 juta dan tahun 2010 sebanyak US$52 juta. Menurut Imam, keunggulan pesawat jenis super tucano ini tidak hanya lebih murah dibandingkan dengan pesawat tempur jenis F-16, akan tetapi paling murah biaya operasinya. Untuk satu jam operasi pesawat Super Tucano hanya membutuhkan US$70. "Saya berharap Komisi I DPR, Menhan dan Panglima TNI bisa mendukung realisasi lebih cepat pembelian pesawat Super Tucano tahun 2010 ini," katanya. Kasau juga menjelaskan, pesawat Super Tucano ini merupakan pesawat tempur taktis yang berfungsi sebagai counter insurgency, dan sebagai pesawat remote air control (pesawat kontrol udara). Artinya, apabila ada pesawat yang lebih kencang seperti F-16 bisa memberitahu sasarannya. Keunggulan lainnya, kata Kasau, pesawat Super Tucano mampu membawa amunisi minimal 1500 kilo gram. Selain itu, pesawat Super Tucano juga digunakan oleh banyak negara termasuk AS. Pesawat Super Tucano juga lebih unggul karena bisa beroperasi minimal tiga jam. Di Brazil, menurut Kasau, pesawat Super Tucano ini berhasil mengurangi illegal logging, trafficking. "Spesifikasi pesawat tempur Super Tucano ini lebih baik dan lebih besar. Digunakan sebagai pesawat temput taktis dan counter insurgency serta remote air control, dan juga akan digunakan sebagai pesawat intai," katanya. Kasau menambahkan, proses pembelian pesawat Super Tucano sudah berjalan sejak 2007, dan proses pengumuman juga sudah berjalan. TNI AU termasuk Komisi I DPR periode 2004-2009 sudah melakukan peninjauan di pabriknya pada Februari 2007. Two-seat version of the Gripen aircraft and two single-seat version of the first aircraft to fly. The image is noticed integrated electronic warfare system, EWS-39 is looking at installing a two-seat model number 70102 with the following manufacturers have not installed EWS-39 at a time when the numbers 1 to flight first time. 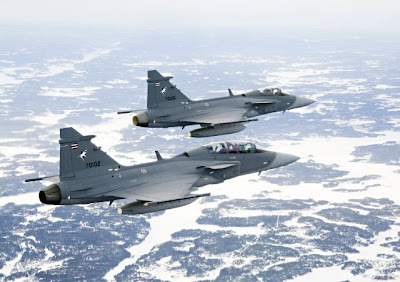 The Cabinet also approved 800 million baht budget to provide two Gripen lot to provide integrated electronic warfare system looking EWS-39 installed on the 12 Gripen aircraft. SINGAPORE, which has one of Asia's best-equipped militaries, is planning to spend $11.46 billion on defence this year, government data showed on Monday. The allocation is up 0.1 per cent from last year, figures from the 2010 budget showed. Singapore's navy, army and air force will get 10.95 billion dollars to buy and maintain military equipment, for the upkeep of camps and for payment of salaries. Singapore has a population of 4.99 million people, 3.73 million of them citizens and permanent residents who provide the manpower for its conscription-based armed forces. Adelaide, Australia – BAE Systems has secured a contract to supply a new targeting system for the Australian Army’s new Carl Gustaf M3 weapons. BAE Systems will provide more than 400 of its proven, uncooled AN/PAS-13C thermal weapon sights to equip the Army’s crew-served Carl Gustaf shoulder-fired 84mm direct-fire weapons. The sights can be used for both day and night operations, and in adverse conditions such as smoke and dust, enabling the user to track a round all the way to the target. The sights also are self-contained and eliminate the need for cables and day/night mode switching, and can be readily used for surveillance off-weapon via a quick release mount, according to Ian Sharp, Director of BAE Systems Australia’s Land Business Unit. “They are a reliable, lightweight, and simple to use, combined imaging and sighting systems for all conditions. Users are able to rapidly convert to the new sight from the Carl Gustaf’s current day-only sight,” Mr Sharp said. He said that the contract was another example of the company’s ability to reach back to access the diverse capabilities of the global BAE Systems organisation, adapt them to a local requirement and support them with a comprehensive regional through life support solution. “The sight is manufactured by our US-based Electronics, Intelligence & Support business. It is a proven military off-the-shelf (MOTS) advanced, uncooled thermal sensor, with more than 50,000 currently fielded on 12 weapon types operating across coalition forces. “Our Australian team was able to contribute rapid and innovative engineering design to integrate the sight to the Carl Gustaf within just 90 days for program trials. “The sight performed so well during trials on the Carl Gustaf launcher that it has now been adopted for other crew-served weapons in several other countries and has been fielded in theatre in Afghanistan through Urgent Operational Requirements,” Mr Sharp said. The contract is valued at AUD $16 million. JAKARTA - Untuk kebutuhan alutsista (alat utama sistem pertahanan) dalam kurun waktu lima tahun (2010-2014), pemerintah hanya bisa menyediakan dana sebesar Rp 100 triliun dari total anggaran sebesar Rp 149,78 trilun. Itu berarti masih ada sekitar Rp 50 triliun yang masih menggantung. "Jujur saja, dari sekitar Rp 150 triliun kebutuhan alutsista, pemerintah hanya oke Rp 100 triliun saja. Sisanya itu yang lagi kita cari solusinya, dari mana diambil," kata Menhan Purnomo Yusgiantoro, dalam raker dengan Komisi I DPR RI, Senin (22/2). Disampaikan Menhan, kebutuhan alutsista yang tercantum dalam renstra 2010-2014 itu terdiri dari pengadaan sebesar Rp 87,32 triliun, serta perawatan/pemeliharaan Rp 62,46 triliun. Rinciannya adalah untuk tahun anggaran 2010 sebesar Rp 23,01 triliun, 2011 sebesar Rp 32,29 triliun, TA 2012 Rp 29,66 triliun, TA 2013 Rp 32,58 triliun, serta TA 2014 sebanyak Rp 32,15 triliun. "Mekanisme pengadaan dan tender alutsista TNI telah diatur melalui Permenhan No: PER/06/M/VII/2006 tentang Pedoman Pelaksanaan Pengadaan Barang/Jasa Militer dan Permenhan No: PER/07/M/VII/2006 tentang Tata Cara Pengadaan Barang/Jasa Militer dengan Menggunakan Fasilitas KE di Kemhan dan TNI," tutur Purnomo. JAKARTA, KOMPAS.com - Panglima TNI Jenderal Djoko Santoso menjelaskan, rencana TNI berencana membeli pesawat jenis Super Tucano merupakan pengganti pesawat OV-10 yang telah di-"grounded". Hal itu dijelaskan Panglima saat rapat kerja dengan Komisi I di gedung DPR Jakarta, Senin (22/2/2010). Panglima TNI menjelaskan proses pembelian alutsista itu dilaksanakan pada renstra II tahun 2010-2014. Sementara, penjelasan Panglima ini terkait dengan pertanyaan kalangan anggota Komisi I DPR seputar rencana TNI AU membeli pesawat Super Tucano untuk ditempatkan di skadron 14 Madiun dan rencana TNI AL membeli kapal patroli cepat. "TNI AU telah mengajukan anggaran pembelian beserta dukungannya sebanyak 16 unit untuk satu skadron," ujarnya. Terkait upaya pemberdayaan industri strategis pertahanan nasional, menurut Panglima TNI, pihaknya juga berencana melibatkan atau menjalin kerjasama PT Dirgantara Indonesia dalam berbagai hal yang menyangkut pelatihan, jaminan ketersediaan suku cadang, prosentase kandungan lokal dan alih teknologi. Tentang pembelian kapal patroli cepat, Panglima TNI mengatakan bahwa sesuai dengan renstra II tahun 2010-2014, TNI AL telah menganggarkan pembelian Kapal Cepat Rudal Trimaran dengan panjang 60 meter dan Kapal Cepat Rudal sepanjang 40 meter. "Keduanya merupakan produk industri swasta nasional," kata Panglima TNI. Dalam raker yang dipimpin Ketua Komisi I Aziz Stamboel (FPKS), hadir pula Menhan Purnomo Yusgiantoro, para kepala staf TNI dan Wakil Menhan Sjafrie Sjamsoeddin. Majalah Asian Military Review terbitan Januari 2010 memuat direktori angkatan udara di kawasan Asia. Berikut adalah direktori angkatan udara negara-negara di Asia Tenggara dan Oceania yang disusun menurut urutan alfabet.